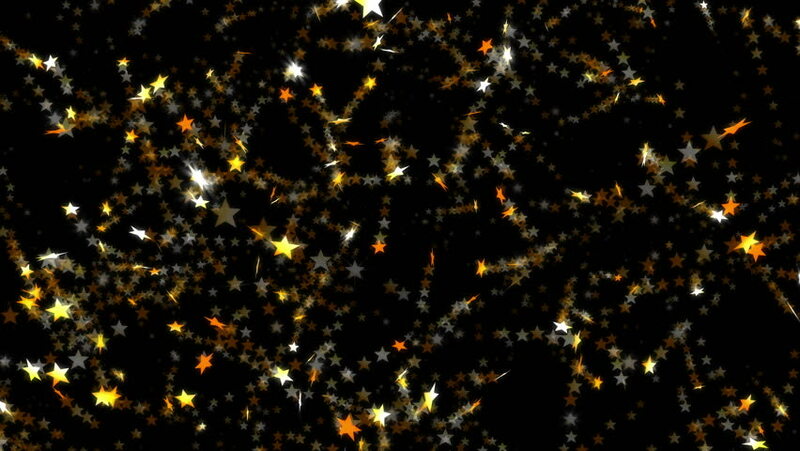 Animation of rotating gold confetti in shape of star. Loop, black background, 4K. hd00:16Urban street trees are decorated in New Year's and Christmas toys.